This massive tree came down in Jamaica Plain during the storm. Hundreds of thousands of customers throughout New England still have no power following a weekend storm that impacted more than a million homes and businesses. At the storm's peak Monday, more than 1.5 million customers were without power after violent winds and heavy rains, which caused widespread closings of schools and businesses. As of Wednesday afternoon, those numbers were down to around 363,000, with the bulk of the outages in Maine, which still had more than 200,000 without power. Drought conditions across much of Maine may have contributed to the large numbers of trees that toppled. The storm left more Mainers in the dark than even the infamous 1998 ice storm, but the long-term effects will likely be much different. Officials with the Maine Emergency Management Agency say because of dry conditions, the roots of many trees weren't healthy. They also say the ground conditions, along with foliage that remained on the trees, made them more susceptible to wind. Maine Gov. 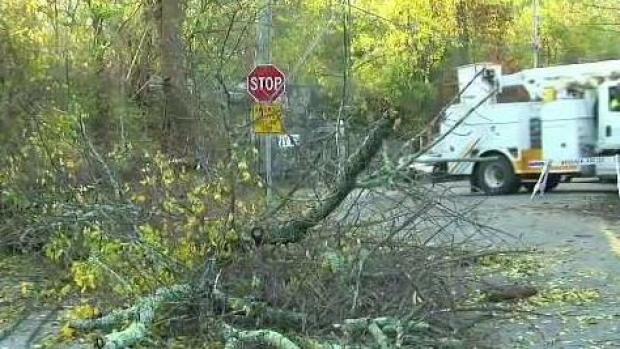 Paul LePage declared a state of emergency following the storm. "The most important thing is that the power is restored as quickly as possible," said LePage. 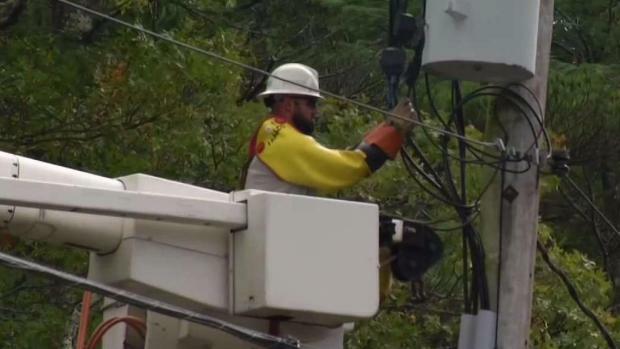 Massachusetts dropped down to around 33,000 outages Wednesday, while Connecticut hovered around 20,000, New Hampshire around 48,000 and Vermont at 17,000. The outages in Vermont are impacting the state’s dairy farms. The lack of power forced dozens of school districts across the region to cancel classes for the second consecutive day, while many towns postponed trick-or-treating until the weekend. It's unknown how many farms lost power, and it could take until Saturday to have it fully restored. Vermont is the largest dairy-producing state in New England, with about 800 dairy farms. The Vermont Agency of Agriculture also says about a dozen farms have reported thousands of dollars of damage from the wind storm, mostly to greenhouses and hoop houses. 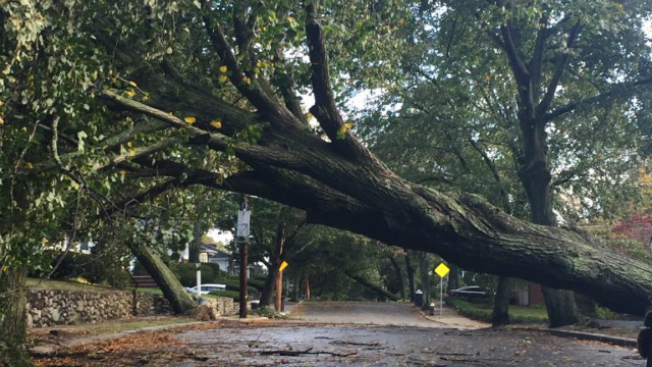 Utility National Grid says nearly 35,000 customers were still without power in Rhode Island. Some schools were closed for a third day because of the outages. Democratic Lt. Gov. Dan McKee says the communication from National Grid has been "insufficient and inconsistent." He says the utility seems to have been able to restore outages in Massachusetts faster than it did in Rhode Island. National Grid spokesman Ted Kresse says the company hopes to restore power to most customers by Wednesday night. He says rural communities and individual outages might have to wait until Thursday.